I love dying roving of any kind. 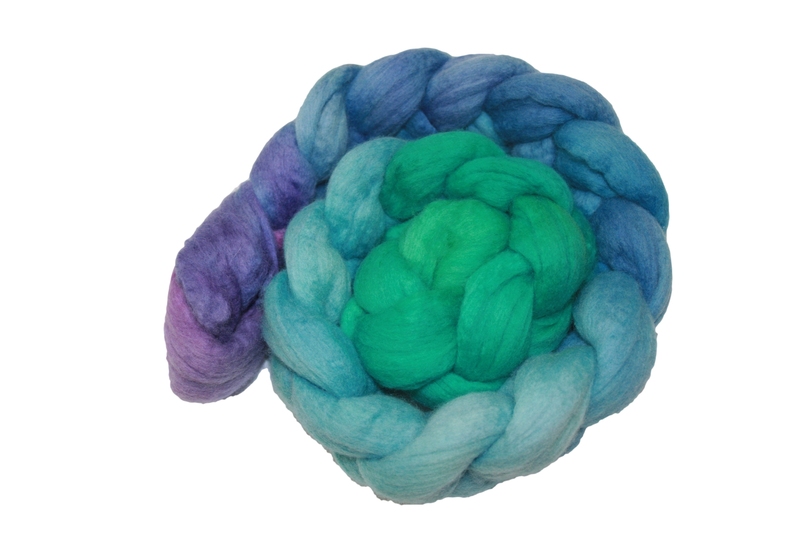 Merino, merino/silk blend, corriedale......anything white must have color. lol! I love experimenting and seeing what is going to come out. Sometimes it works, and sometimes it does not. Even the ones that don't work out, somehow are still spinable. And I do just that. I use different ways to dye. Solar dying which is using the sun light to heat your dye bath, dying in a dye pot on the stove and also dying using a crock pot. I find that you get the most even heat with the crock pot. Unless you are solar dying. With crock pot dying, you will get a different look then if you were to hand paint your roving. I also find it impossible to crock pot my yarn when I am dying with different colors. I like to use Jacquard Acid dyes and althought they may be more expensive then others on the market, they are THE BEST. The color is extremely brilliant and colorfast. I find I get a great uniform color throughout the roving or yarn when submerging the whole thing. Stay tuned for some step by steps on dying and some tricks that I use.